Today is the last day of January 2013, this year my "New Years Resolution" is similar to last year. However, this year, I am more concentrated in school and creating myself a health lifestyle. By now, (if you follow me on twitter) you would have already known that I spend around three to four hours per a week in the gym. But sadly, my weight has never changed, since I never created myself a healthy diet. So, this year I have committed myself to create a better healthy lifestyle. For the last thirty days, I have created and reformed myself a new healthy diet. I wouldn't actually call this a diet, but just a simple changing some of my regular food items into healthy choices, for instances rather than eating chips I started to snack on dried seaweed. This post is part of my new healthy diet, however this is actually a treat to control my sweet tooth. This is a quick and simple smoothie, this is what I usually drink in the morning. It's definitely healthy and the best part is that I won't be hungry for six hours, since the avocado fulls me up. Avocado is fruit that contains around 140 calories with 14 gram of fat per an average sized avocado. However, even with all assumptions, it’s still one of the best fruits to eat. Since avocado is good for your heart and it lowers cholesterol. Also, avocados make you feel full due to the fibre contained within it and finally, it tastes amazing too. (learned all the information from my high school teacher). 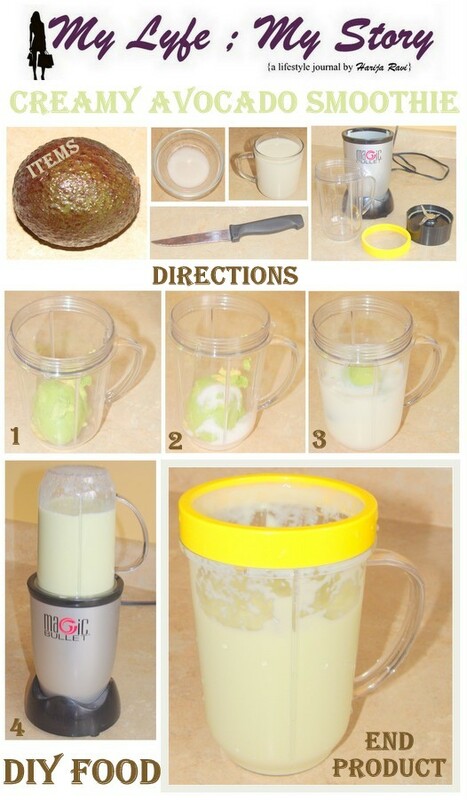 1) Cut the avocado, remove the seed inside it and then place it into a clean blender. 2) Add the sugar in. 3) The add the milk in slowly. 4) Finally, seal the cap and blend the smoothies. Finally, put it into a clean and serve. Also, if you want to check out my past posts by click on the highlighted letter. free to let me know and I will get on it as soon as possible. The weather has once again has started to play tricks on people. Last week, I was outside cleaning the garage. Then during the week my classes were cancelled due to the extremely cold alert. Yesterday there was a huge snow storm, which caused an eighty-pile up collision on 401. However, today the weather is -4 Celsius and next week it will be heating up. Overall, the weather is going through a roller-coaster and sadly, even if I want to get out of the ride: I am not able to. So, with that entire thing in mind, today I decided to take advantage of the lovely weather, by wearing some black pumps. 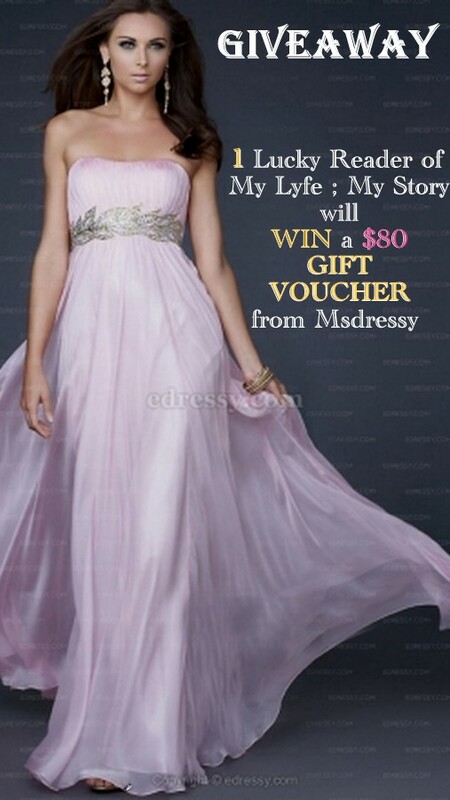 For this post, I teamed up with a few companies: Chicnova, SammyDress, AMiniDeal and LovelyWholeSale. Many of you have heard about these companies in my last few posts last year: Chicnova (These Days & Spring In January), SammyDress (Promotions), AMiniDeal (Special Offer) and LovelyWholeSale (My Winter Fashion Basics). At this time, I would like to thank all these companies for collaborating with me for this post. Also, I would love to thank you all for your support and in addition for all the beautiful comments. Well, I would love to know how you weather is (where ever you are resided in)? Other than that, hope you all have an amazing weekend. Recently, I have been extremely busy with the new semester and I am trying to create a good schedule to fit things in their right places. It's definitely taking more work than I ever expected. As I promised on twitter I am back with another post for today and it's a Now Wearing. Since this is one of the most request post for the year 2013. I really wasn't expecting so many emails from you all asking me to do more fashion, outfit related post. It really did come to me as a huge surprise, because I rarely dress-up to school. However, today even with all the bad weather, I still felt energizer and therefore I ended up taking photos of what I wore to school today. This look is definitely a casual and simple look, plus it's extremely comfortable. And if case your wondering on why I was delaying these post is because with my family's help I was able to change a small portion of my basement into my little photo-shoot area. Now, I literally have everything set up, with lights and for now I was only able to create a white background. Hopefully, it all turns out good in the upcoming posts. Well, I hope you all have a wonderful week! Quick Note: "Hello to all my lovely followers/readers! First of all, I would like to thank you all for the wonderful support and encouragement. Two weeks ago, I joined the "Lucky Magazine" Blogger Contribution program and on Saturday, I made my first post. Due to all you supports and votes, my post made it to the "top stories". Thank you so much and I really appreciate you all for the support and encouragement you have given me for the last two years. Plus, as I promised you all: I will working more hard to keep you all entertained with all my future posts. Also, Happy Thai Pongal to all my Tamil follower!! ((Thai Pongal is the Tamil harvest/thanksgiving day))"
Carrying on to today's post: On Saturday, I made my first outfit of the day post for the year 2013 and I introduced you all to two new companies: Chicnova and AhaIShopping.com. Today's post will be all based on AhaIShopping.com. Since many of you commented about the Round Head Rivets High-Heeled Back Zipper Boots in Black, I decided to do a separate post just for the boots itself. Plus, I hope all your questions are answered in this post. For my last post, many of you already know that I am really in love with these pair of black boots. This is definitely my first ever shoe sponsorship post I ever did and it definitely was worth it. 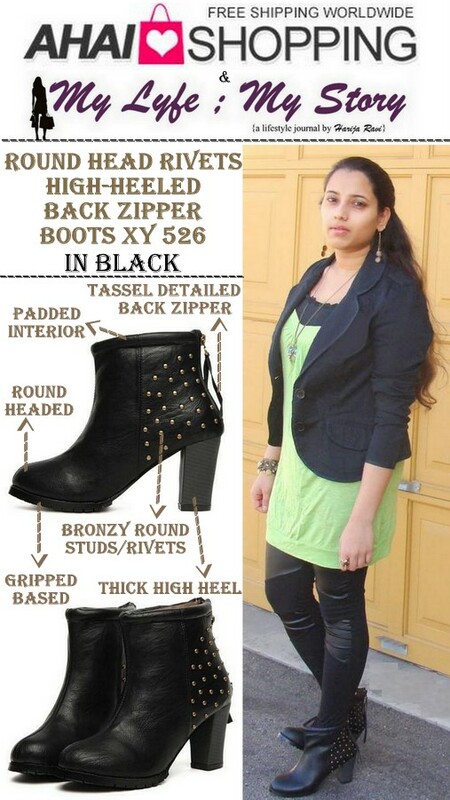 These pair of Round Head Rivets High-Heeled Back Zipper Boots in Black are really comfortable and really soft inside. This particular boots follows three trends: 1) Studs 2) Black Tassels 3) Leather (inspired). In the collage below I went in depth on the boots interior and exterior design. 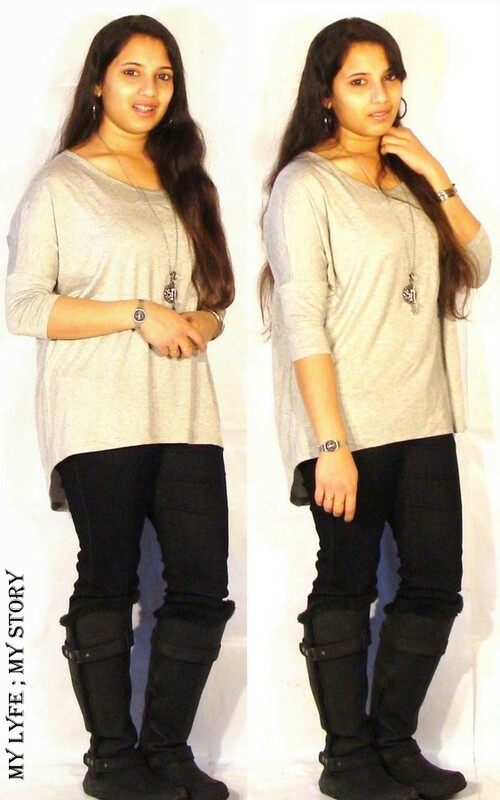 As I mentioned early, I am extremely happy with these boots and I am now a huge fan of AhaIShopping.com. They are really comfortable and it feels like you are walking on cloud. Yes, it definitely does, even though these boots have high-heels they are still absolutely delightful. So, definitely check out their website and I would love to know what you favourite item is? Also, if you haven't seen my full outfit post, please feel free to click on the photo below. Well, I hope you have a lovely week and take care. Mother Nature is definitely a mystery! It's been only one week since New Year, but in Toronto the weather has made some huge high points. During this time of year, we usually have tons of snow on our driveways however this year the drive is all dried up. 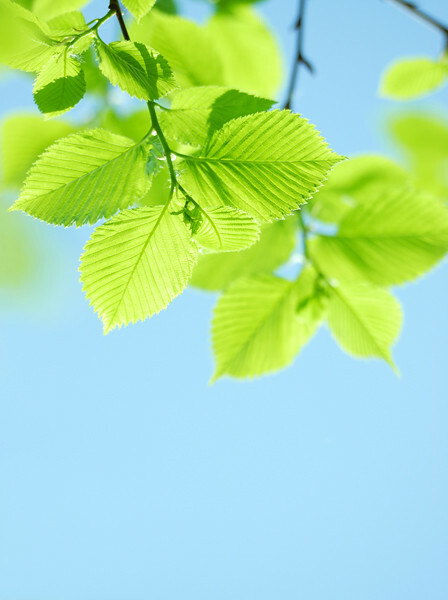 Even though, I miss the white snowy winter, yesterday was definitely a bright and shine day. Without a wasting a second, I took the opportunity to take my first outfit post for this year. The weather definitely helped my outfit to stand out and best part I didn’t have to wear a winter jacket, so I ended up wearing a black blazer. Yesterday, I had a day off from school and decided to have a girls`lunch date with my sister and cousin. I decided to were a green loose tank top, so I can hide my tummy having a big lunch. Also, I finally got my hands on a pair of "Black Legging with PU Panel". I never had the confidence to try out any PU clothing items. However, thanks to Chicnova I received my first pair of PU clothing item. Chicnova is a "leading online fashion retailer, belonging to Hermes Holding (Hong Kong) Limited. It offers trended fashion and mix & match style fashion, aiming to deliver fast fashion to worldwide. The name ‘Chicnova’ consists of chic and nova, which directly expresses our wish: help women discover their styles to make chic star looks.Our mission is to become a world-class fast fashion deliverer to women worldwide at affordable prices. 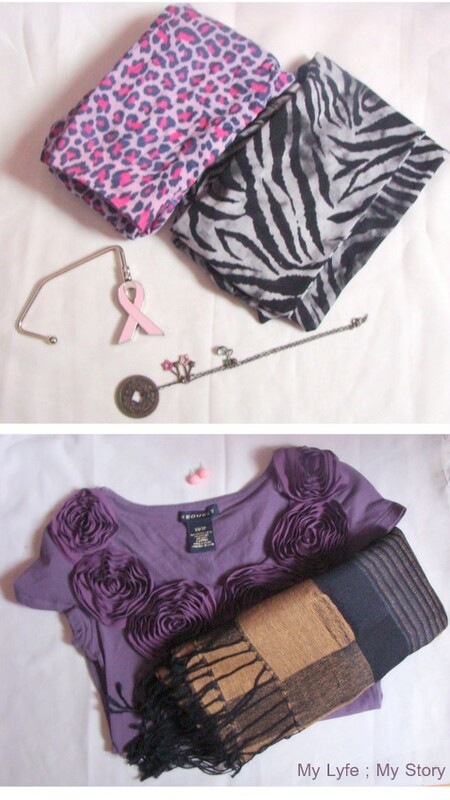 "(from their website) Plus, I love their name "Chicnova" and also I received a few more items from them, which will be included in another "Now Wearing" post. These photos were taken by my dad. It's a brand new year and this means (for me and many of you out there) it's back to school time. For the last two years, I have received tons of requests from you all questioning me about my daily outfits to school. Now, with all your support I have finally gotten the courage to start conducting some outfit post, however I wanted to do a full post based on my "weekly" outfit choices. When it comes to fashion, I ain't picky about brand names and stuff. However, I love to dress up with minimum makeup and comfortable/cute clothing pieces. In this post, will be be concentrating more on the top, tunics, sweater and etc rather than the lower half. 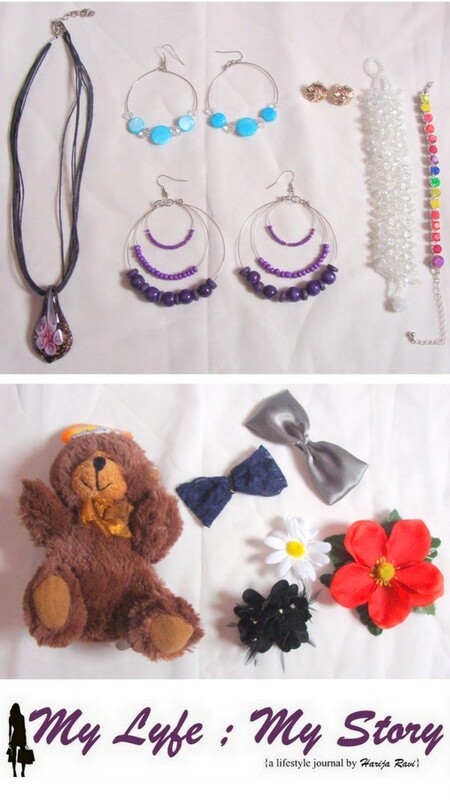 In this particular post, I will be using images from a website called "AsianFashionist" to explain my daily style wear. First of all, you all be wondering, who and what is AsianFashionist, well it's s simple intro about them (from their website): "Asian Fashionist is an online global manufacturer, distributor and retailer company of various apparels, which is based mainly in Asia. It proffers over thousand brands of dresses, sweaters, and other Asian clothing apparels to different parts of the world, in which targeting the Asia, UK, US and mainland China. Moreover, we also shipped thousands of items to over hundreds of countries from its central distribution." 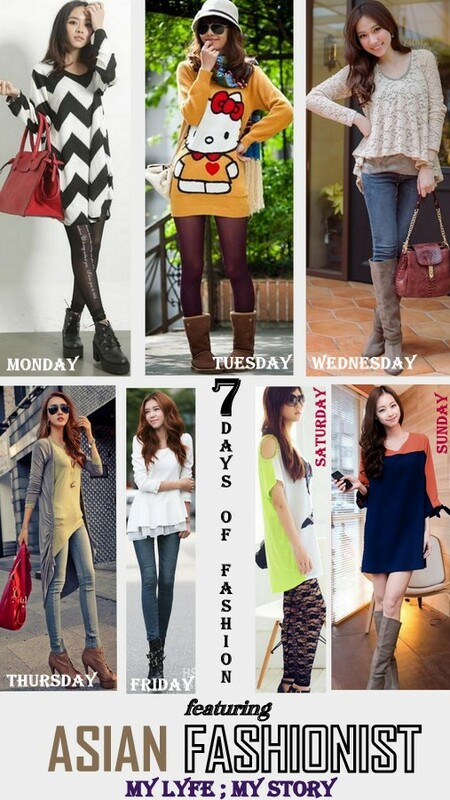 Here is a collage of my top picks for the week and below the photo I described each outfits look. 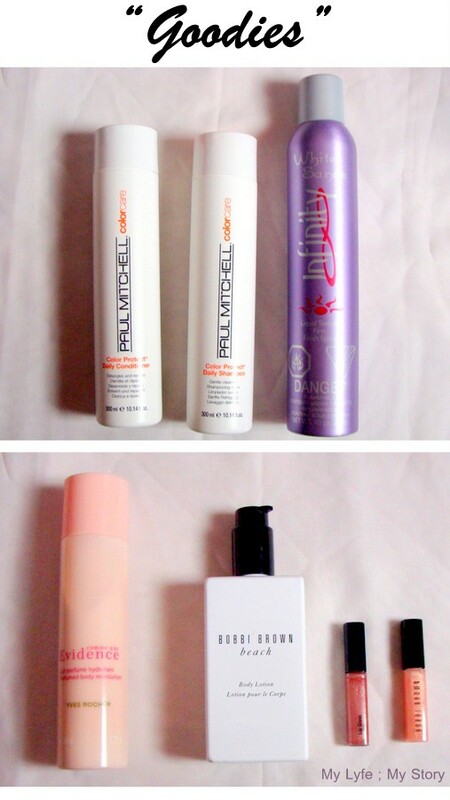 Plus, described all the trends that is used for each look. Once again, this post will be be concentrating more on the upper half rather than the lower half. 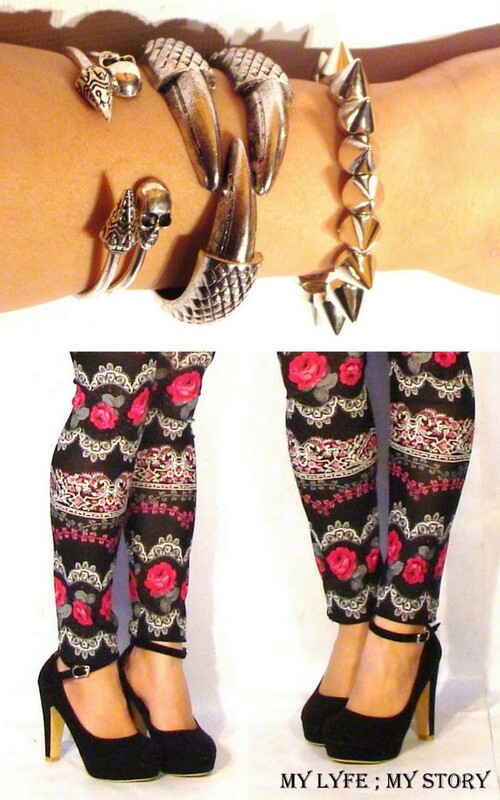 the collage are from AsianFashionist. Also, I would love to know what you fashion picks for school? Also, this is NOT a sponsored post! Well, have a lovely week and enjoy! This been a since I officially starting doing product reviews and Pinky Paradise has been my first product review I conduct last year. Surprisingly same for this year as well. Once again, I am back with another product review but the only difference is that this is a brand new year and this means a new, fresh start for us all. I hope all of you are all doing well and hope you all had an amazing holiday with you loved one. Well, now going on to today`s post, which is a product review of a pair of lenses from Pinky Paradise. Just a disclaimer that this review is based on my personal experience and 110% honest opinion. 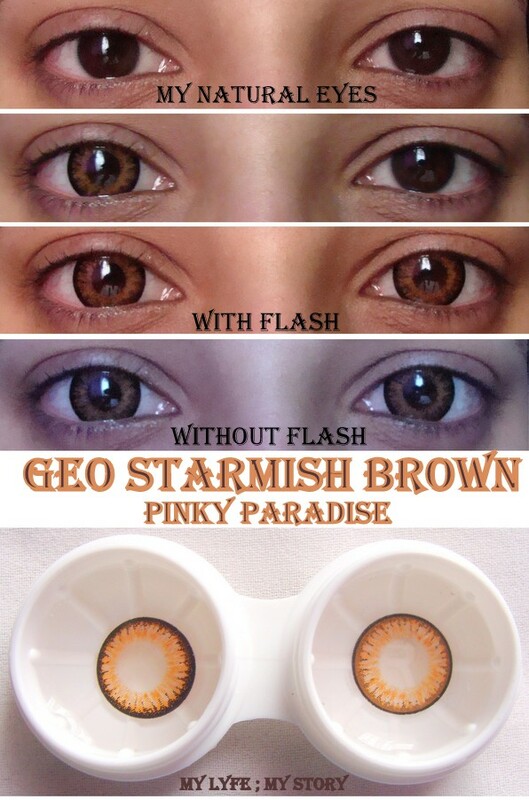 For the product review I chose the do a review on (Geo Starmish Brown) Contact Lenses. And down below are photos of me wearing them. Also, for these pictures I decided only put eye liner on to emphasis more on the lenses. As always Pinky Paradise didn't disappoint me and just as last time I am extremely happy about the product. This time for the review I decided choose the Geo Starmish Brown, at first I wasn't sure on how it would look on me, since my eyes are dark brown rather than black. But still out of curiosity I choose this particular colour and brand. At first, when I tried on the Geo Starmish Brown lenses I felt really uncomfortable and my eyes were irritating me. Then when I removed the lenses I released the I worn them the wrong way (no wonder), but later I fixed them and guess what it was so much more comfortable. Plus, the Geo Starmish Brown lenses looks really natural on me and therefore, I am able to wear it everyday. Also, it came it a cute little animal case as usual. I really wanted to get these lenses after see the photos on their site (the photo is show below), I wasn't sure if it would stand out on me. However, once again for my surprise it did and I already wore it five times this week. I am a happy customer and will guarantee it for you all. 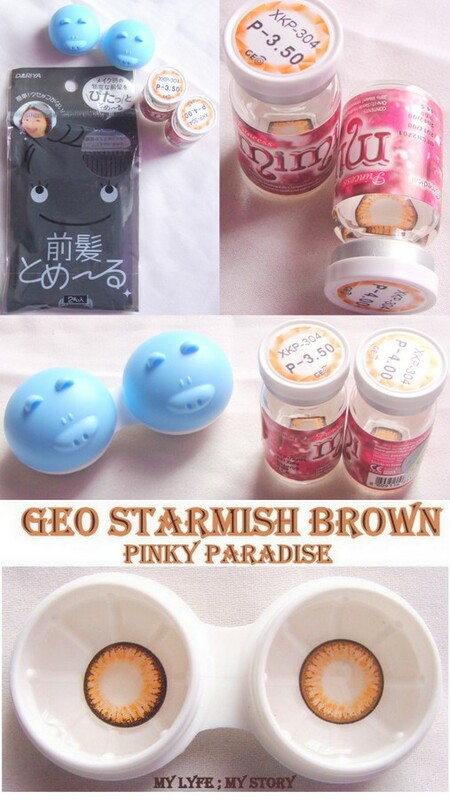 FTC: Pinky Paradise sponsored the (Geo Starmish Brown) for my honest review. I was not compensated to make this entry and this is 100% my honest opinion. Wow, it's already 2013! It just feels as if I started blogging yesterday, but as of today it's my first day of my third year on blogger. 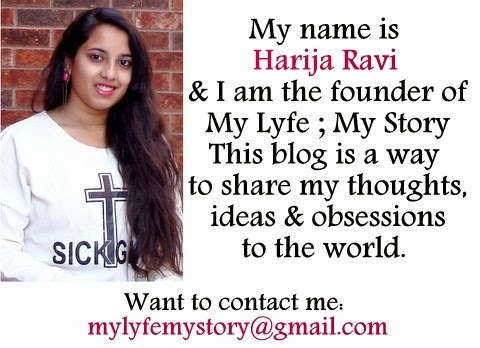 When I look back at this blog, I feel happy and proud that my small hobby to reduce stress too me so far. In the past two year, I made a huge group of friends all around the world; received actually fan emails and postcards for some of you; got an opportunity to work with some amazing magazines and even receive a large amount of sponsors. Just in the past two year, I got an opportunity to meet some amazing people. The past two years, has been a memorable journey and I hope 2013 will be similar too. This year my New Year resolution is to have a fresh new start. A fresh start that will help me to rediscover myself, recreate my inner child and redefine my goals in life. Last year, I had a huge list of resolutions and I tried my best to fulfill them all. This year with all those resolutions in mind I want to give myself a fresh start. So, what are your 2013 New Year Resolution and how you do plan to fulfill them? At this time, I wish you all a "Happy New Year"!! Also, thank you so much for helping me get through my second year of blogging. I hope you all join me again this year, 2013 to see how I get through all my ups and downs. Once again, thank you and hope you all have an amazing year!